Sometimes you need to follow up with an agent about a listing or check in with them before the appointment occurs. 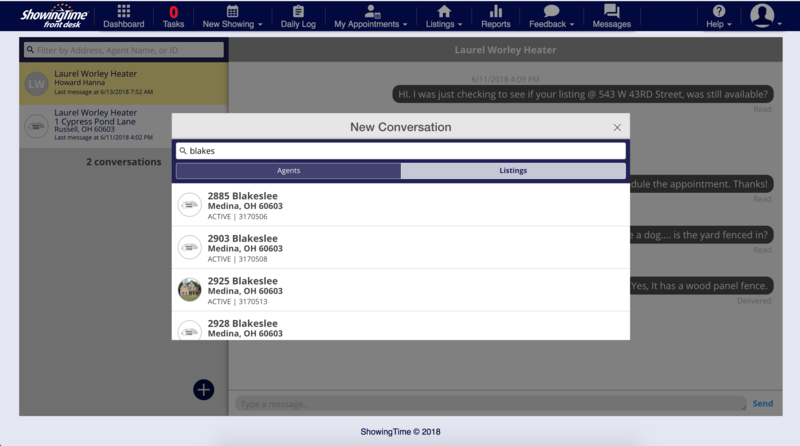 ShowingTime makes this easy in the ShowingTime mobile app and on the desktop. 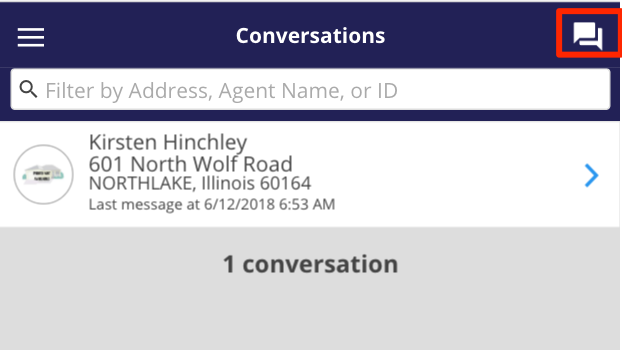 These messages are organized in the Message Center and continue to be accessible from the appointment detail screen. From the desktop view, you can access the message center by clicking on the messaging icon on the main menu. From the mobile app, you can click on the conversation icon in the upper right corner. Here you will see a list of all the messages you are involved in. You can search for a particular message by name, address, or MLS Listing ID. Responding to a message is done in real time, so the person you are chatting with will be able to respond to your conversation right away. You can create a new message that is not related to an appointment. 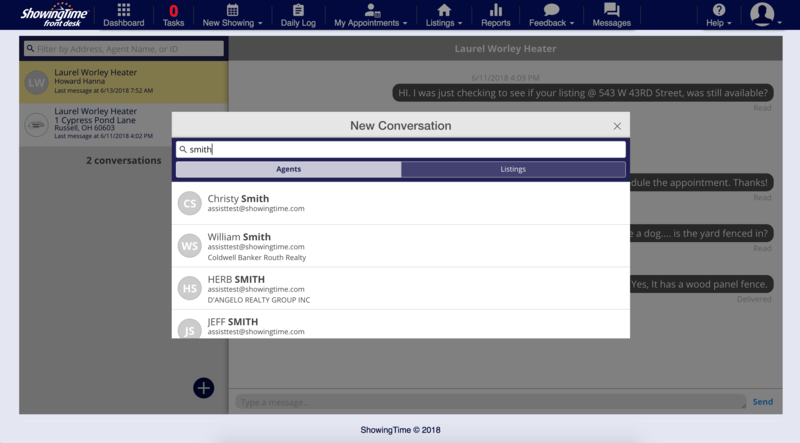 This feature allows you to search for any agent or listing in your Multiple Listing Service and message them. Click the + sign to start a new message. The ability to create a message may not exist in your market. However, the ability to respond to existing messages will be available. You can choose to search for an agent in your market. Or you can search by listing. 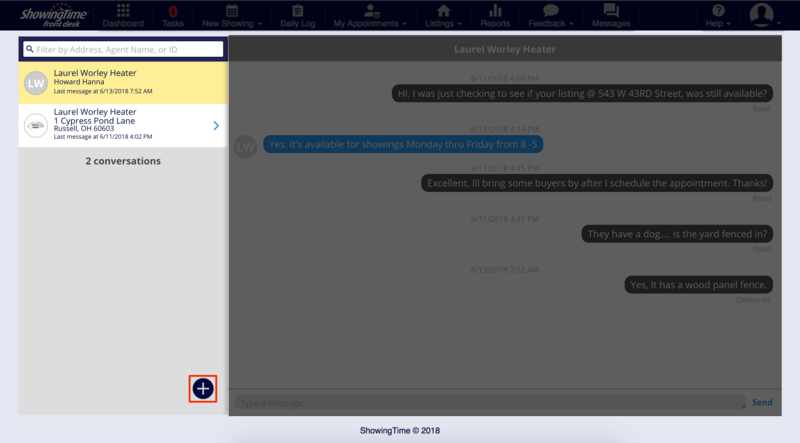 If you send a message to a listing and a co-listing agent is assigned to the listing, your message will automatically be sent to them as well. 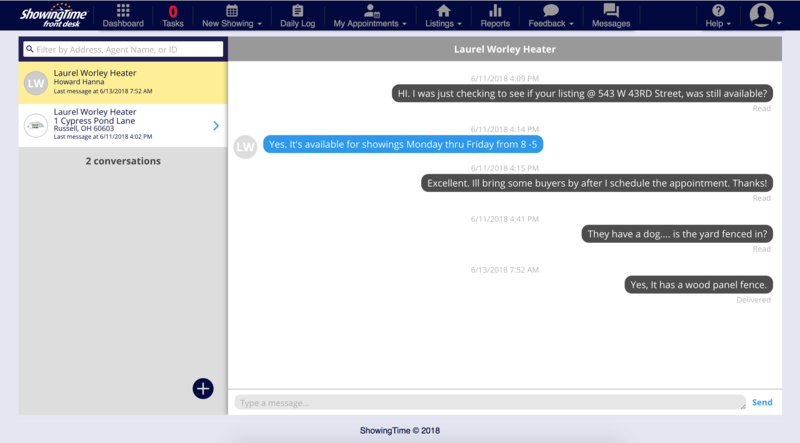 If you have any questions that weren't answered here, our technical support team is available seven days a week and can be contacted via email at support@showingtime.com, phone at 1-800-379-0057, or live chat.